Activity lasts approximately 1 hour. 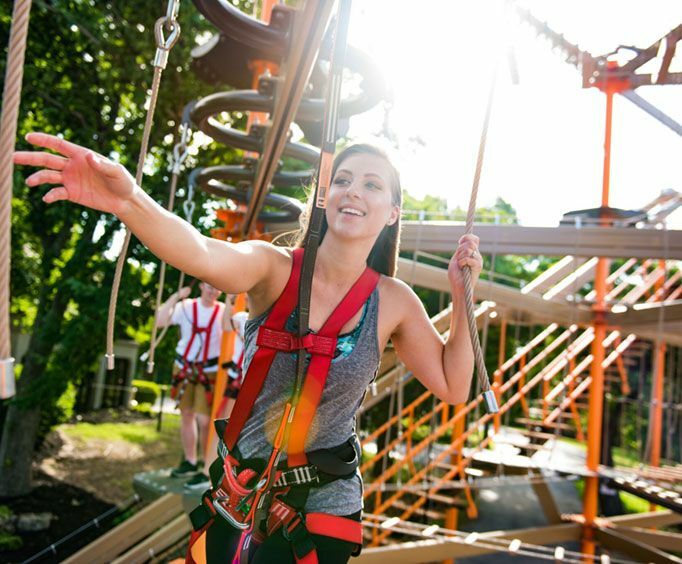 Have a blast in Branson, MO with the Shepherd of the Hills Ropes Course. This course gives guests the opportunity to see some of the beautiful sights in the area while challenging themselves along the way. 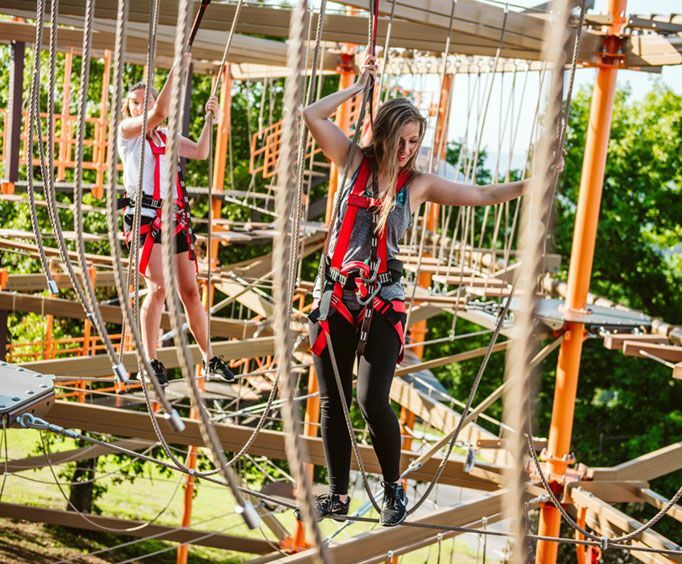 The course includes swinging bridges, height-defying rope walls, and more. Guests will be strapped into their harness and securely allowed to conquer the course at their own leisure. This is an awesome way to get in some physical activity while enjoying the beautiful views of Shepherd of the Hills. The Ozarks mountains are some of the most magnificent views in all of Missouri and Arkansas. Home to sprawling forests and sparkling waters, the area quickly became an inspiration to many creative minds who visited. One such person was Harold Bell Wright, who fell in love with the area so much that he penned a book entitled Shepherd of the Hills inspired by what he saw. With Inspiration Tower and the other attractions at Shepherd of the Hills, guests can see what Harold Bell Wright saw and fell in love with in the early 1900s. Do not miss out on this fantastic opportunity to create fun and lasting memories in the Ozarks! 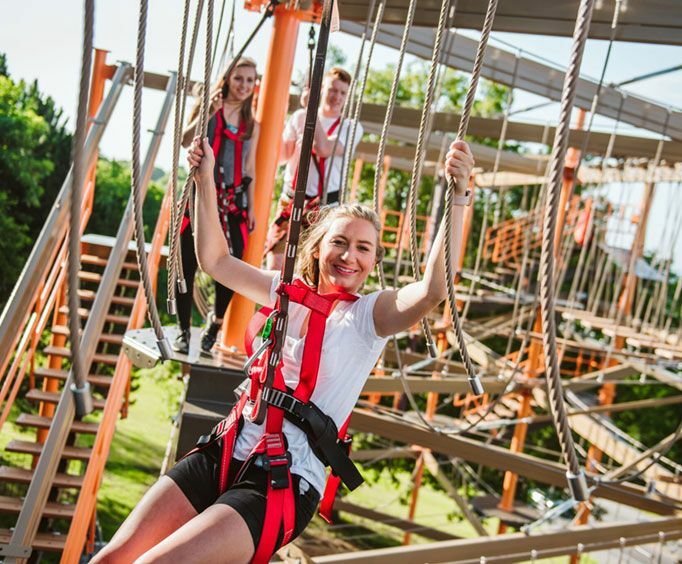 With the Shepherd of the Hills Ropes Course, guests will not only have a blast taking to new heights, but they'll also be able to enjoy and appreciate the beauty of this amazing area.